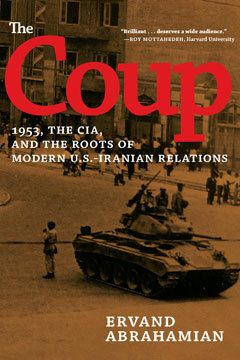 In August 1953, the CIA orchestrated the swift overthrow of Iran’s democratically elected leader and installed Muhammad Reza Shah Pahlavi in his place. Over the next twenty-six years, the United States backed the unpopular, authoritarian shah and his secret police; in exchange, it reaped a share of Iran’s oil wealth and became a key player in this volatile region. The blowback was inevitable, as this “relevant, readable” (Kirkus Reviews) history by noted Iran scholar Ervand Abrahamian shows. When the 1979 Iranian Revolution deposed the shah and replaced his puppet government with a radical Islamic republic under Ayatollah Ruhollah Khomeini, the shift reverberated throughout the Middle East and the world, casting a long, dark shadow over U.S.-Iran relations that extends to the present day. In this “well-documented account [that] will become indispensable reading for students of the modern Middle East” (Choice), Abrahamian uncovers little-known documents that challenge conventional interpretations of the coup. Offering “new insights into this history-shattering event” (Reason.com), his riveting account transforms America’s understanding of a crucial turning point in modern U.S.-Iranian relations.